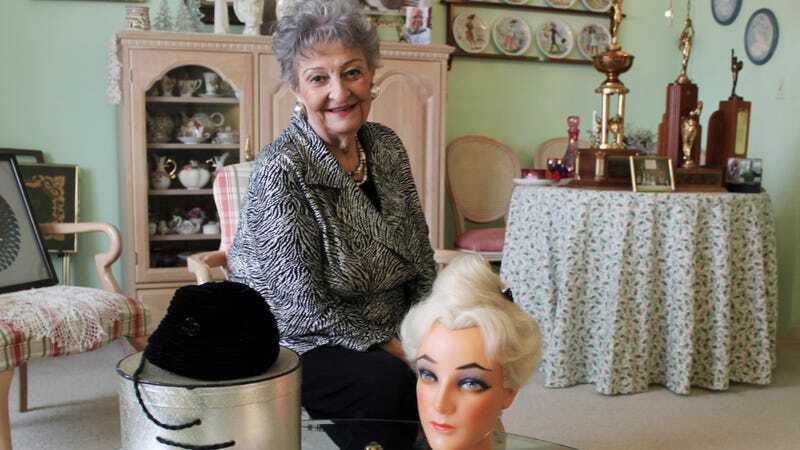 A legend is with us no more: Margaret Vinci Heldt, creator of the beehive, has died at age 98. Heldt said the inspiration for the hairstyle came from a little black velvet hat, shaped like a small bump and lined inside with red lace. Heldt went downstairs to her family room one night while her family was sleeping. She put on music and started working with hair atop a mannequin head. I thought, ‘What am i going to do that hasn’t been done before? !’ So i went home, took out my mannequin, and started playing. I remembered a little hat I owned, sort of a fez, which was really popular with Jackie O., and I really loved it. I’d always thought, ‘Someday I’m going to invent a hair style that’s going to fit right under that little hat.’ Then, I realized, that’s exactly what I should do for the photo shoot! Photos via AP, Getty Images.